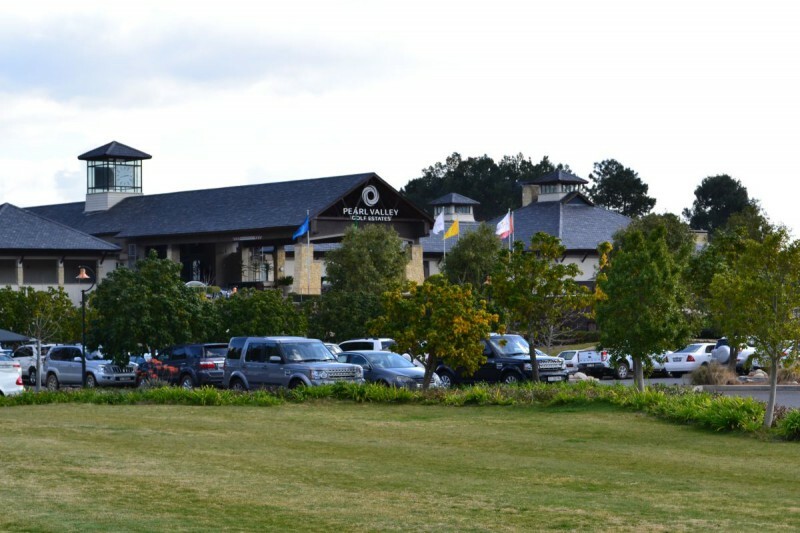 Pearl Valley Golf Lodge is located in heart of the Winelands of the Western Cape, between Paarl and Franschhoek. 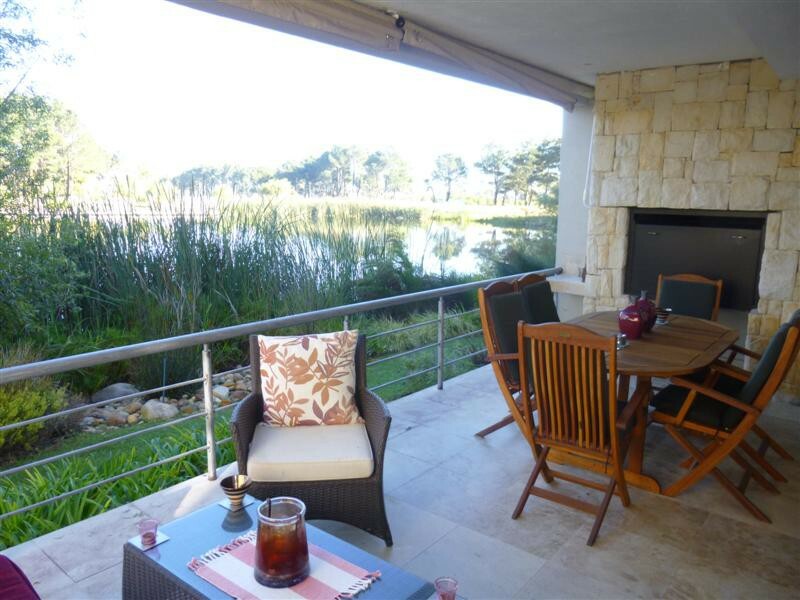 The Golf Lodge froms part of the multi-award winning Pearl Valley Golf Course, which is rated in the top 3 courses of South Africa. The exclusive golf estate has 24 h security with access control. 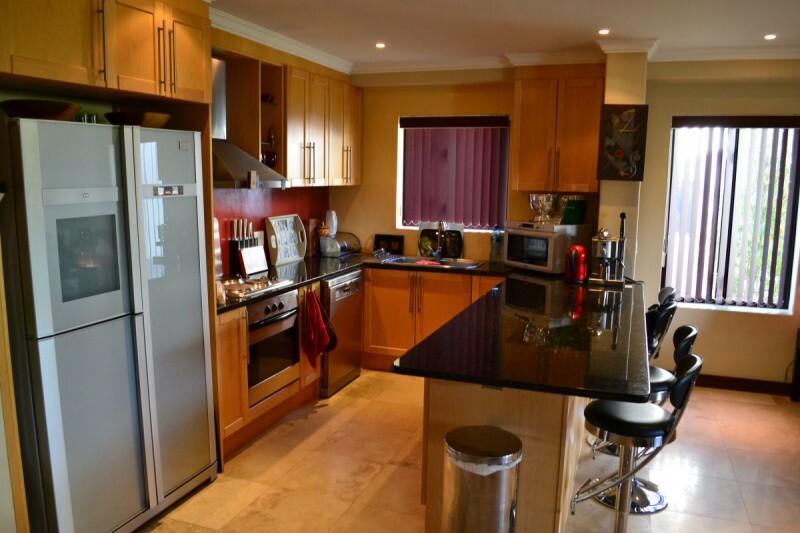 Self catering accommodation in Pearl Valley Golf Estate, 4 bedrooms all with en-suite bathrooms, fully equipped kitchen, spacious lounge with covered patio and double carport. 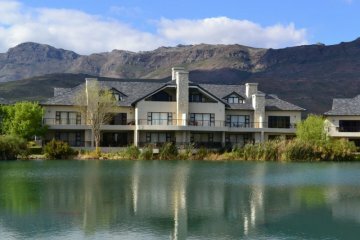 The Golf Lodge has the most magnificent mountain views overlooking a dam. The self-catering Golf Lodge has the most magnificent views of the Simonsberg and is located at the edge of one of the many dams that have been created in the Pearl Valley Golf Estate. 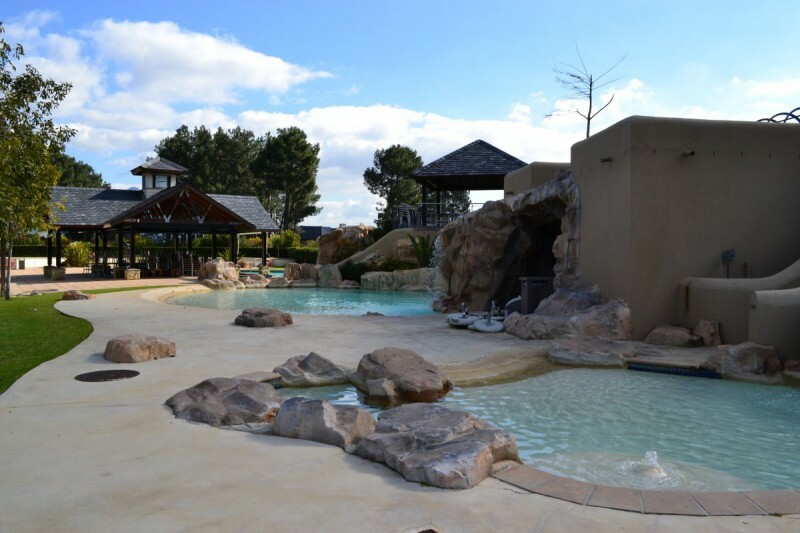 The Golf Lodge has 3 levels, the ground level has a spacious fully equipped kitchen, a dining area and a lounge leading onto a covered patio with a built in BBQ. 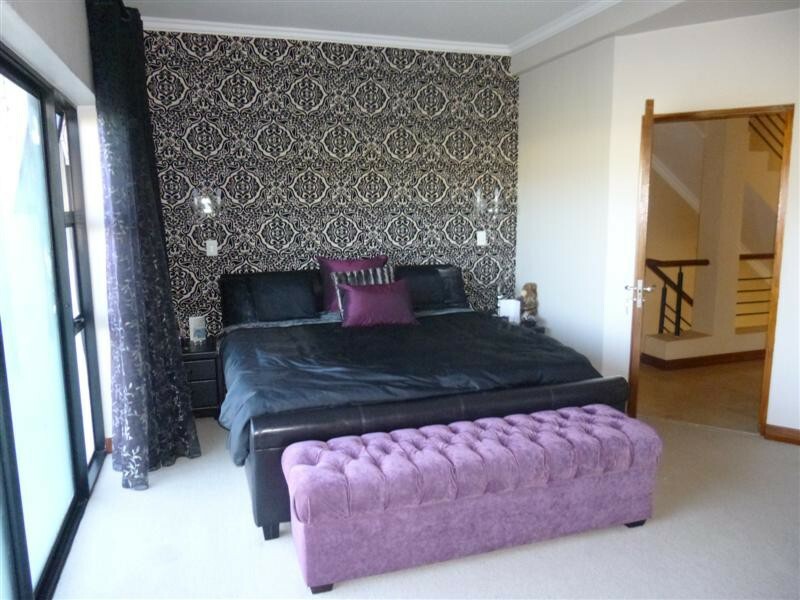 A twin bedroom is also on this level with its own en-suite bathroom with shower. 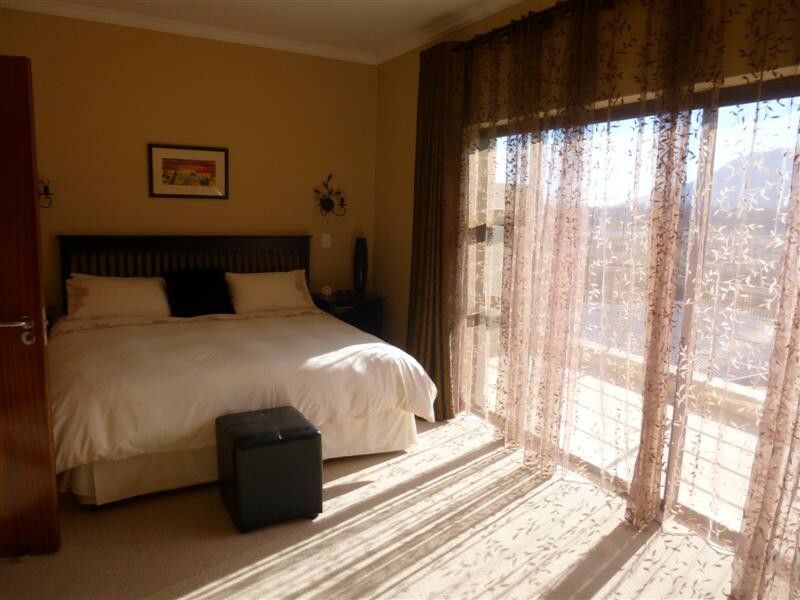 The second floor has two bedrooms both with en-suite bathrooms having a bath and shower. Both bedooms have balconies with magical views of the mountains. On the third floor is an additional twin bedroom with an en-suite bathroom and shower. It also has its own private balcony. All bedroom in the Golf Lodge are fully air-conditioned, bathrooms have underfloor heating as well as heated towel racks. The lounge has a gas fire which in addition to making the apartment warm and csy also give it a romantic feel that can be enjoyed with a glass of wine from one of the many wine cellars in the area. 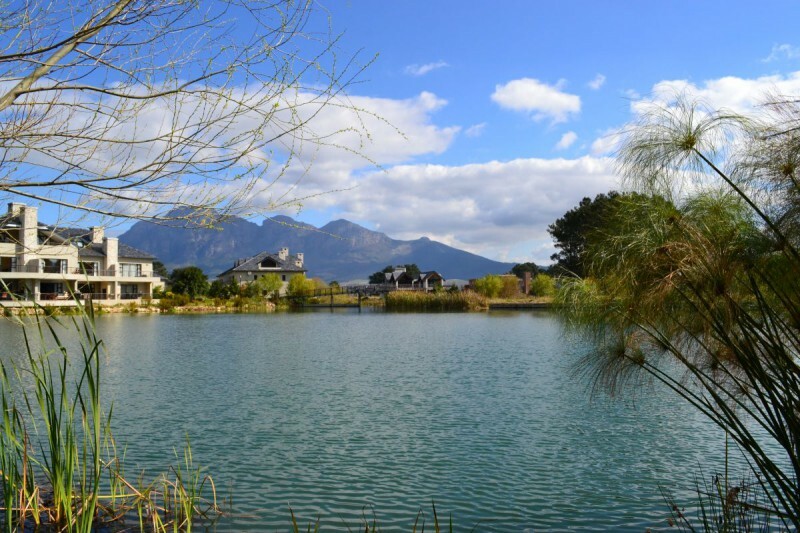 Pearl Valley is the perfect place to slow down, relax and be revived by the slow, steady pace of the Cape Winelands. A haven for nature lovers and exhausted city-dwellers.